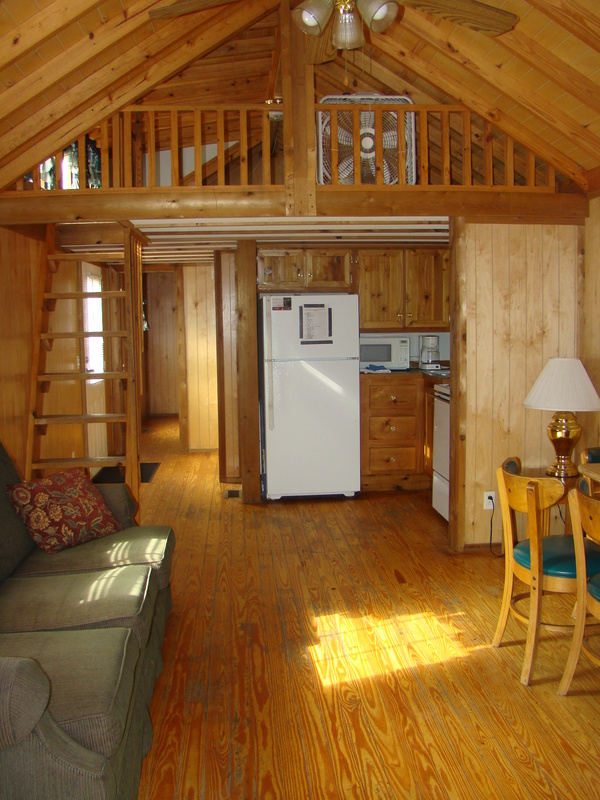 Each of our cabins sleeps up to 6 people and includes central air/heat, refrigerator, toaster, microwave, stove, cutlery and some dishes. 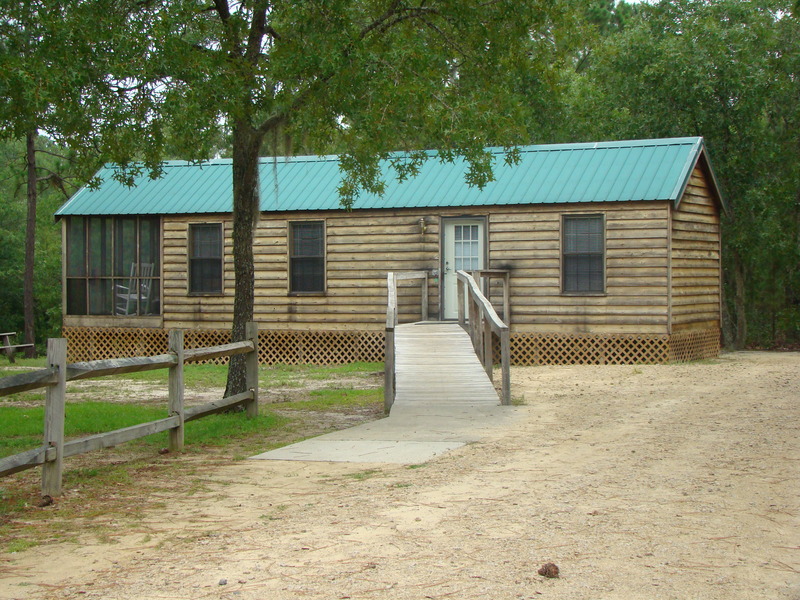 A grill, fire pit and picnic table are located outside each cabin, both overlooking Lynches River. 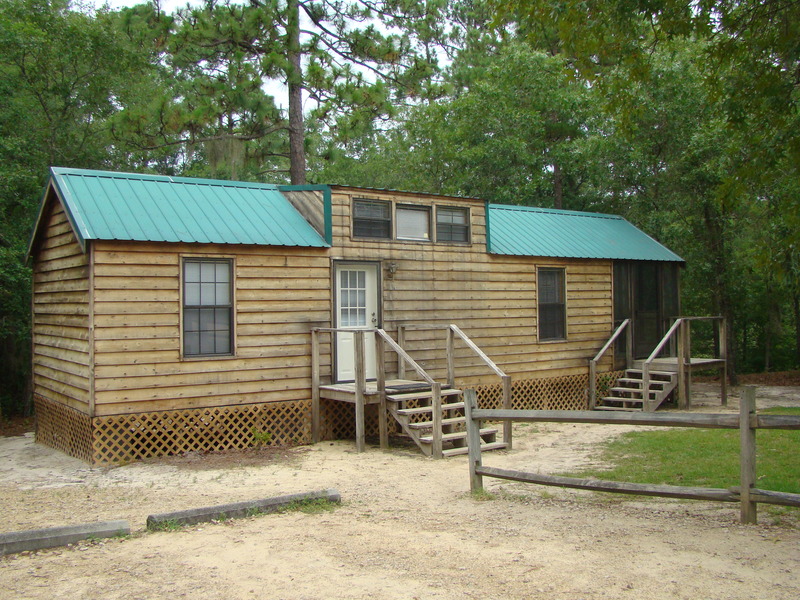 * Beginning in 2019, a two-night minimum reservation is required for cabin rentals between memorial Day (5/27/19) and Labor Day (9/2/19) Please call (843) 389-0550 for availability. A $200 deposit, per cabin, is also required to be paid prior to check-in. Deposit is refundable as long as all rental conditions are met. Pets are not allowed in or around the cabin area.